Profiles by BAJA Writer Nila Do Simon. Originally published by Art Hive Magazine. Turnaround Arts National Performance Team with teachers and honorees. The annual Arts Teacher of the Year event recognizes exemplary arts educators for their commitment and dedication throughout the year. Presented by Broward Cultural Division, PNC Bank, School Board of Broward County, Broward Center for the Performing Arts, and other generous donors. 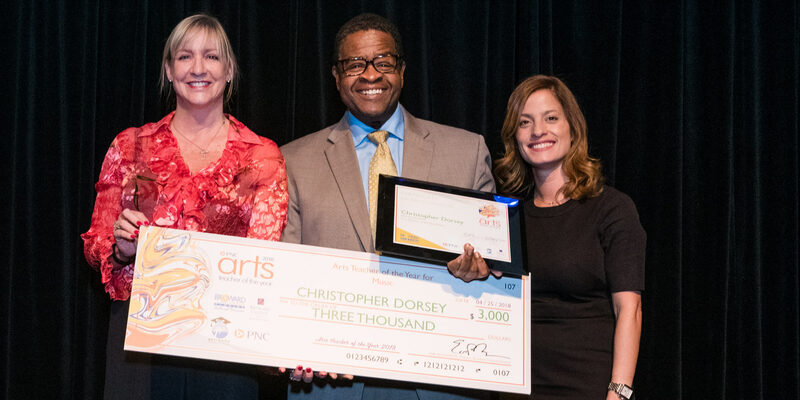 Broward’s 2018 Arts Teacher of the Year, Christopher Dorsey of Dillard Center For The Arts. With Jodi Paris Jeffreys Tanner from the Broward Cultural Council, and Gamalys Alejandro, Business Banking Center Manager,representing PNC Bank. For Christopher Dorsey, Dillard High School’s renowned instrumental music director, what started as a chance to share his love of music with the next generation has since ballooned into a success story with national distinction. Since 2004, Dorsey has been at the helm of one of the country’s most prestigious high school music programs, one whose jazz ensemble has been an eight-time finalist of the Essentially Ellington High School Jazz Band Competition and who has performed alongside the great Wynton Marsalis at the Lincoln Center for the Performing Arts. An active clinician and adjudicator with education degrees from Jackson State University and the University of Florida, Dorsey is also a member of the Florida Music Educators Association, Florida Bandmasters Association, The National Association for Music Education and the Florida Orchestra Association. Marie Huntley, winner of the 2018 “Outstanding Contributions” award is with Grace Kewl, Broward County Cultural Division Arts Administrator, and the Chair of the Broward Cultural Council Jodi Paris Jeffreys Tanner. 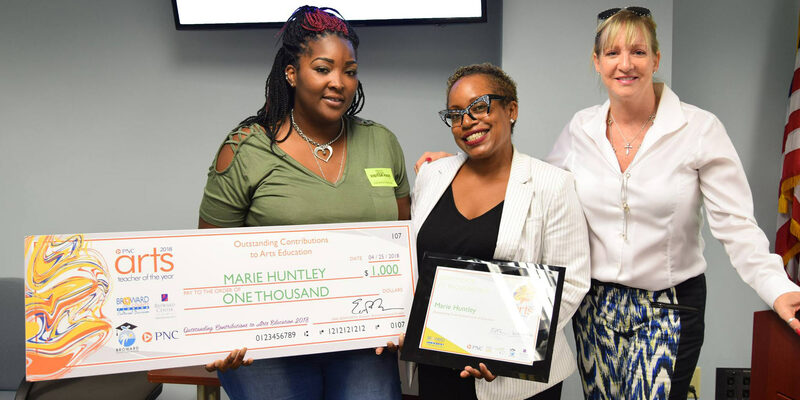 As a lifelong community activist, Marie Huntley believes that one of the best way to raise ongoing awareness is through educating and inspiring the city’s youths. As CEO and founder of On-Call Leadership, Inc., the Fort Lauderdale-born Huntley established a nonprofit organization devoted to mentoring with disadvantaged youths by providing early education, as well as supporting the arts. 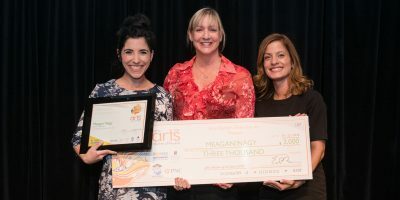 OnCall Leadership created programs such as its Graffitize not Vandalize, or The GNV Project, which combats vandalism by allowing young artists to redirect negative imagery into artistic murals. Through this unique form of self-expression, not only do youths find a therapeutic release, but they also beautify their communities. The GNV Project even saw one of its student artist earned a scholarship to the School of Visual Arts in New York City. 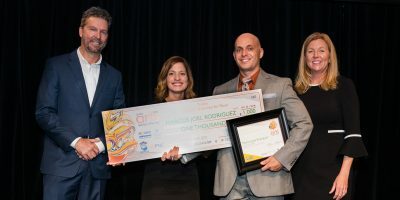 Marcos Joel Rodriguez, of Avant Garde Academy of Broward – Arts Teacher of the Year for Music, Finalist 2018. For Marcos J. Rodriguez, teaching became a chance to instill the strong discipline he learned from his 27year background in the Civil Air Patrol to South Florida’s most promising young musicians. As music director at Avant Garde Academy Broward, Rodriguez has garnered impressive recognition with his middle and high school programs, including superior ratings at the Florida Vocal Bandmasters Association and Florida Bandmasters Association. In addition, his concert choir and wind ensemble have placed in the top three at major competitions. For his work in education, Rodriguez was recognized as a Broward ArtsED finalist in 2017. Outside of the classroom, Rodriguez has received the CAP Commendation Medal, the Meritorious Service Medal and the Lifesaving Medal in his role with the Civil Air Patrol, the official civilian auxiliary of the United States Air Force. 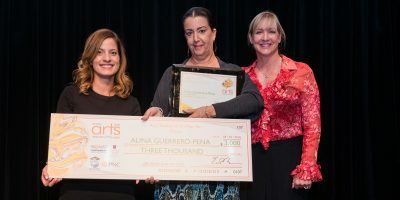 Alina Guerrero-Pena of Dillard Center For The Arts – our 2018 Arts Teacher of the Year for Dance. The director of dance at the Dillard High School, Alina Guerrero-Pena has been sharing her passion for dance with students since opening her Sunrise dance school, On Your Toes Dance Academy, in 1994. A dancer since she was 7 years old, Guerrero-Pena graduated from Florida International University with a degree in dance with a focus on elementary education. She added to her teaching repertoire in 2009 when she began teaching at Dillard High School, inspiring and educating teenagers and the community through annual productions of “The Little Match Girl” Ballet and “The Chocolate Nutcracker.” In addition, Guerrero-Pena has produced a regionally recognized dance company called the Dillard Dance Ensemble that has won numerous awards, special accolades and first-place awards. 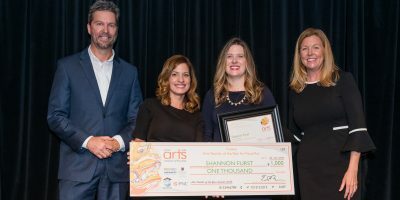 Shannon Furst, of Coral Glades High School, finalist in the 2018 Arts Teacher of the Year for Visual Arts. A ceramics and AP studio art teacher at Coral Glades High in Coral Springs, Shannon Furst has a lifelong love of the arts that has led to teaching the discipline in Broward County for the past 17 years. After graduating with a bachelor of fine arts and a masters in teaching from the Maryland Institute College of Art, Furst – who is a board member of a local art education organization – eventually made her way to South Florida where she further committed to art education. Her students have been recognized at local, district and national art exhibitions, including the Scholastic Art & Writing Awards, Broward County High School Art All-Stars All Media Competition & Exhibition and Superintendent’s AP Studio Art Exhibition. In addition, one of her students recently won award at the National K12 Ceramics exhibit. 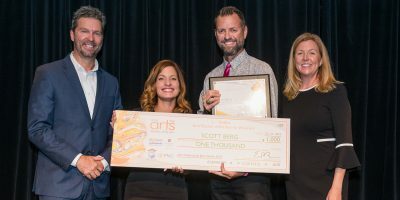 Scott Berg, from Walker Elementary School – 2018 Arts Teacher of the Year for Visual Art. It’s only been three years since Scott Berg began teaching in Broward County, but his work has already made an impact. The West Coast native, who currently teaches general art education at Walker Elementary School, has been awarded the Turnaround Art’s Teacher of the Year Award, which gave him the opportunity to showcase 10 student’s artwork in a special art show held at the White House, which was attended by President Barack Obama and Michelle Obama. 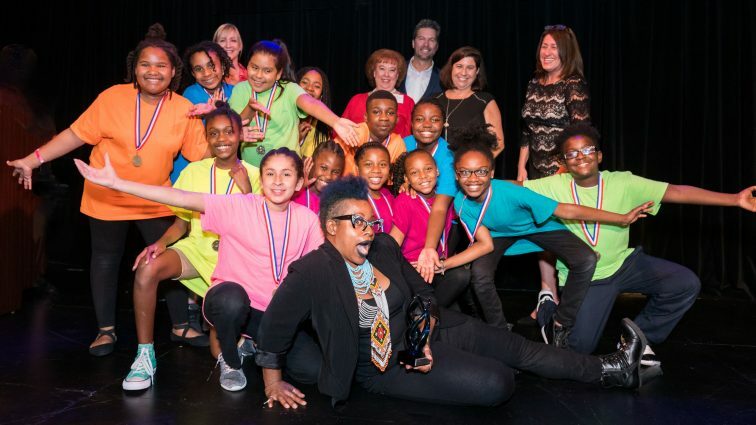 In addition, Berg, who is a staunch advocate for arts integration and curriculum-based projects for the arts, previously earned the Teacher of the Year Award at Bethune School of the Arts for the Caliber Awards. Meagan Nagy, of Ramblewood Middle School, our 2018 PNC Arts Teacher of the Year for Theater. As a young girl watching Andrew Lloyd Weber’s “Cats,” Meagan Nagy felt the theatrical magic overwhelm her while sitting in the audience. Now the theatre teacher at Ramblewood Middle School, Nagy is looking to inspire and instruct her students on how to give audiences that same magical feeling. With her vast theatrical experience, including appearances in productions of “Big Fish” and “The Rocky Horror Show,” the University of South Florida graduate brings a wealth of performing knowledge Ramblewood. Her efforts have earned the school’s thespian troupe two straight state championship titles and the honor of being named Musical Theatre International’s School of the Month. To add icing on the cake, Nagy was named Ramblewood’s Teacher of the Year 2017-2018.